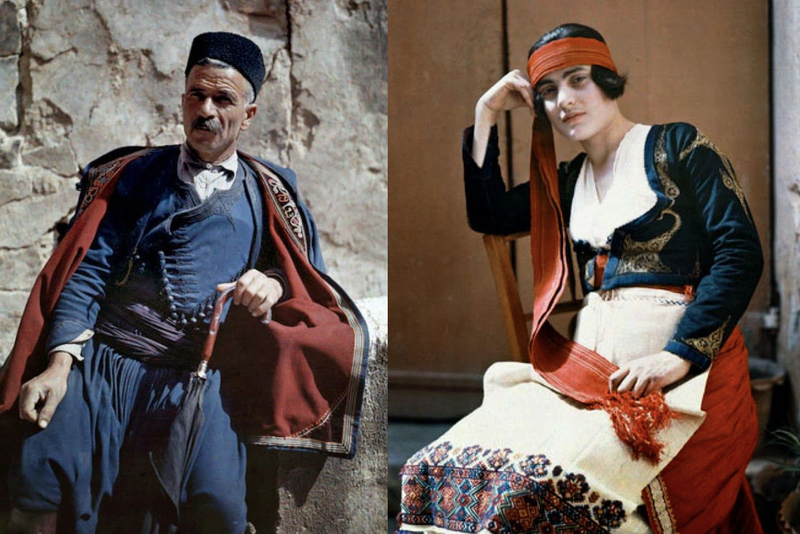 Enjoy these beautiful, rare images of 1920s Greece in color, captured from the camera of Maynard Owen Williams. Williams was a National Geographic correspondent from 1919 and for most of the 1920s. He was an avid traveller who began visiting foreign countries in his teens, exploring Asia and even witnessing the Russian Revolution, among other adventures. Williams was National Geographic’s first foreign correspondent and his reports include a description of the opening of the tomb of Tutankhamen in 1923. Although Williams pioneered travel photography, he wrote numerous foreign dispatches for the magazine, including a 1949 report from post-Civil War Greece where he returned nearly two decades after his early trip, only to find a different nation than the one he first visited in 1919. The Maynard Owen Williams Prize for creative nonfiction at Kalamazoo College is named in his memory. 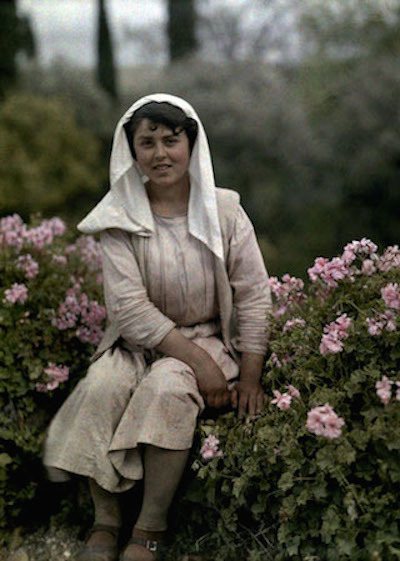 Young woman sitting in a garden of flowers, Corfu. 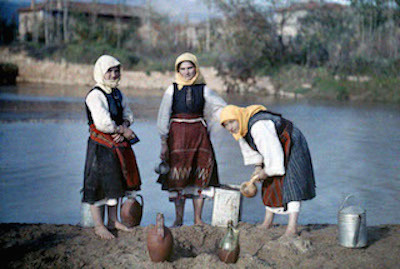 Women filter water taken from riverside pools to use for drinking, near Yugoslavian frontier. 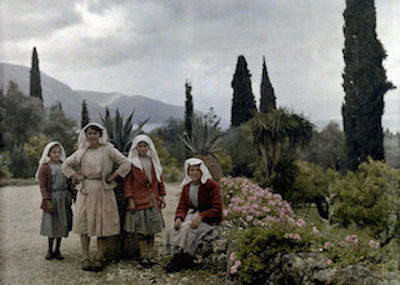 Women and girls in the garden of a country home, Deka, Corfu. 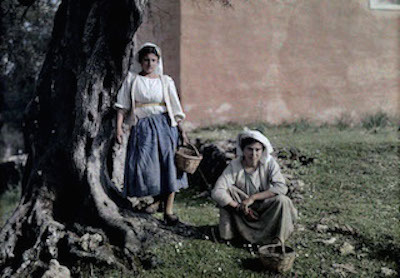 Two women with baskets used for gathering olives during harvest, Deka, Corfu. 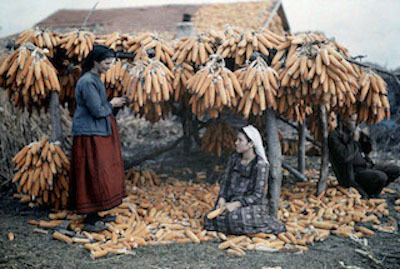 Turkish refugees dry corn near site of Pella in the Macedonian plain. 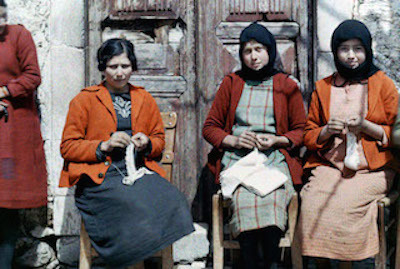 Three women sit and do needlework, Crete. 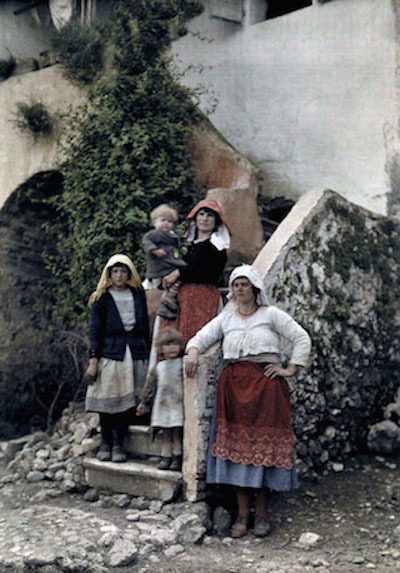 Three women pose with children on stone steps, Corfu. 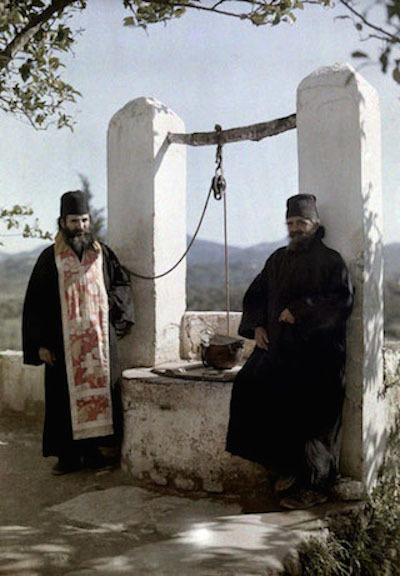 Prior and his monk stand next to well at Europulus monastery, Corfu. 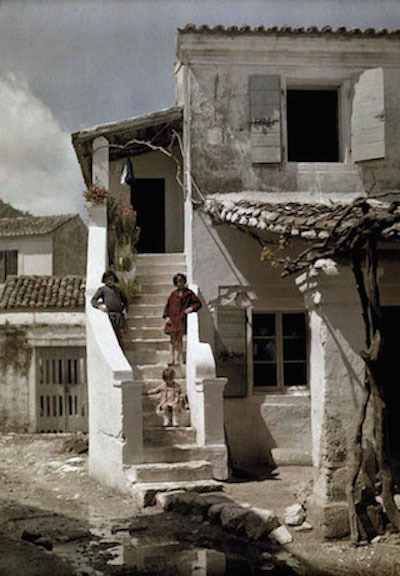 Girls stand on a stairway of a house in a Greek fishing village, Benizze, Corfu. Artist from Mt. 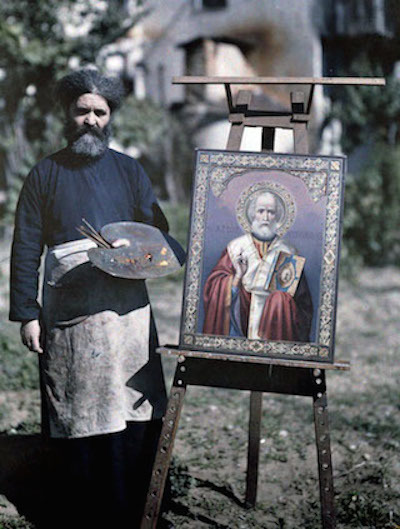 Athos stands next to painting of Saint Nicholas. 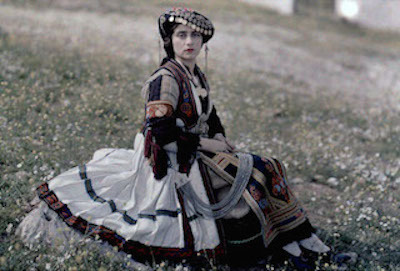 Actress in peasant dress from Thessaly. 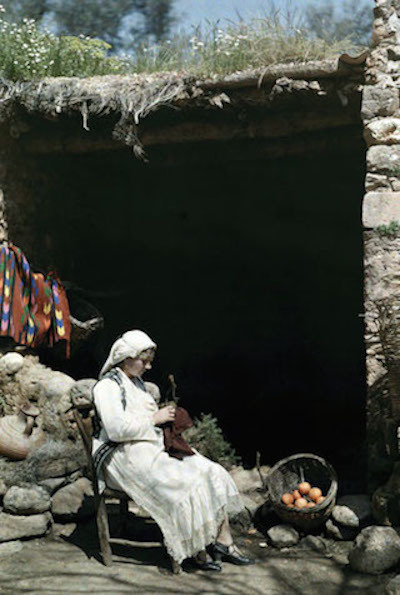 A woman works outside her home in Crete. 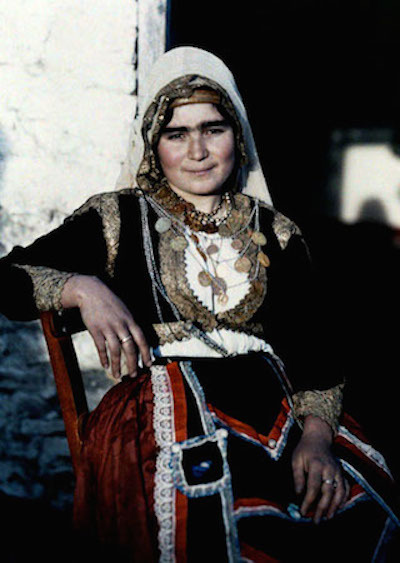 A woman poses in the national costume of Crete. 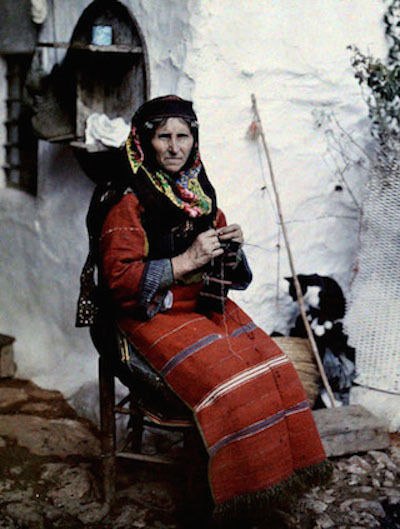 A woman in traditional Greek dress knits sitting outside her home, Aivali. 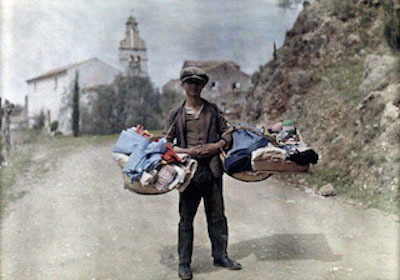 A peddler with his wares passes through the village, Gastouri, Corfu. 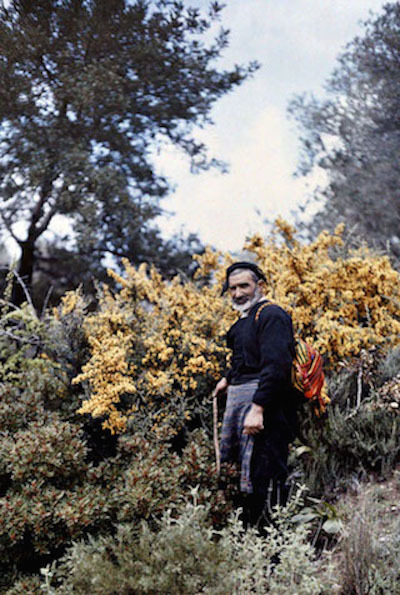 A muleteer stands in the woods in Crete. 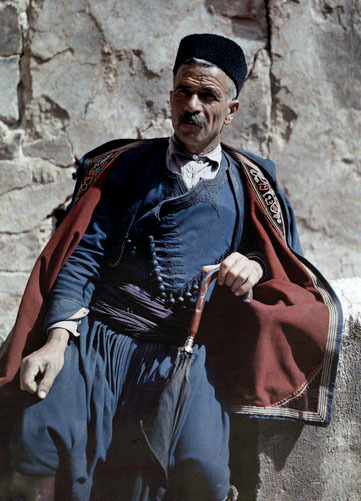 A man poses in the national costume of Crete. 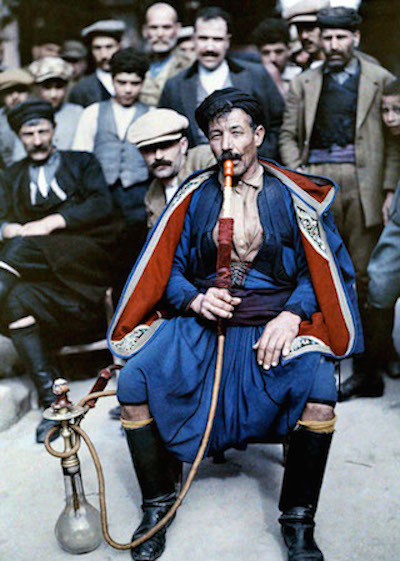 A man in national costume smokes a waterpipe, Crete. A maid of Candia poses in costume. 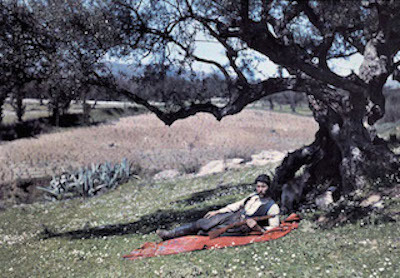 A hunter lies under an olive tree on the island of Crete. 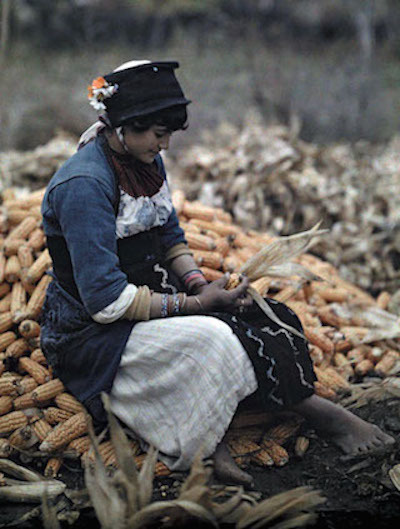 A girl husks corn in a field on the Salonika Kozani Road, Microghouzi. fabulous images, but incredibly expensive. National Geographic charged me $600 for the reproduction rights to one of the photographs that I've included in my new book. These images were taken in the 1920s, they have long ago entered the public domain. You were under no obligation to pay them anything, legally speaking. 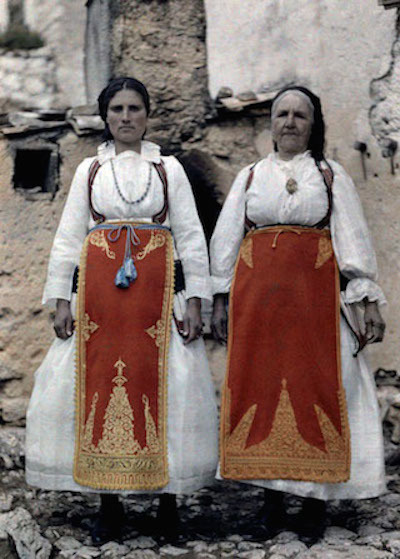 The good old days…..I am so proud to be Greek! The good old days weren’t that good. These are stunning photographs, and so rare. Thanks for sharing with the wider community. Wonderful images from the past! Crete is a beautiful island with a fascinating history. Lovely photos but for me they would be more powerful in black and white. I loved the photos of Constantine Manos you showed in the Pappas Post last year. My husband Panos said they took him back to his memories of when he was growing up in Greece. Manos is an absolute genious. The best ever, thanks for quoting him. Beautiful, they are so clear and in perfect condition for our generation to enjoy ..thank you. 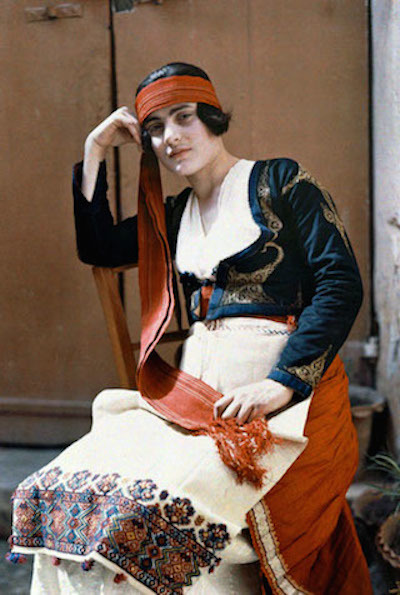 The photo of the Greek lady sitting kitting in Aivali, stirs deep emotions for me. My maternal Grandmother Eleni Filippou (nee Moraitis) was from Aivali, she was born in 1909 and died in 1975, in Adekaide South Australia. She immigrated to Australia in 1967. 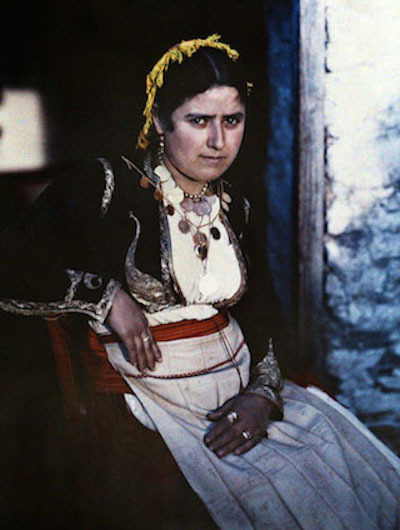 Only God knows, but I can’t help but think, I might be looking at a photo of my Great-Grandmother…..
Helen on April 30, 2016 who mentioned Eleni Moraitis Filippou: I believe we might be distantly related via Alexandros Tsiminis. I came across this by accident, and just started searching for any connection. I hope you read this! If you think there is that connection, please reply and we can arrange to communicate.